Melinda Snodgrass is perhaps best known as the story editor for Star Trek: The Next Generation during its second and third seasons, and for writing the famous episode “The Measure of a Man.” More recently she’s earned acclaim as the co-editor of the ongoing Wild Cards series with George R.R. Martin. 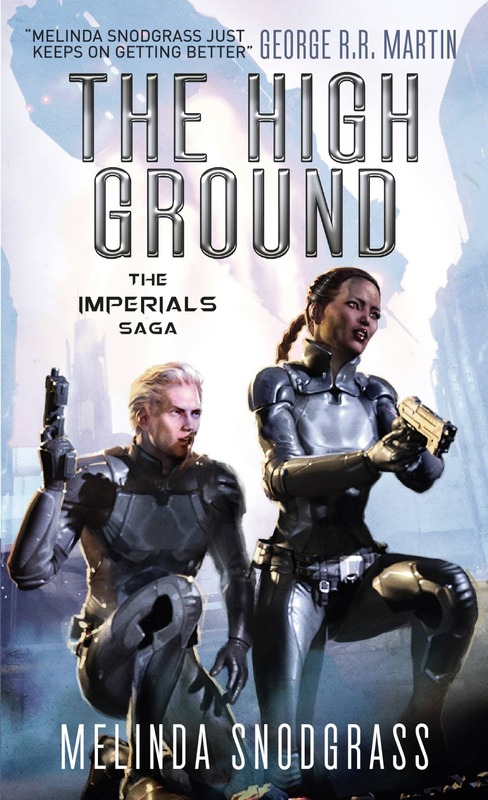 But she’s also a celebrated SF novelist in her own right, with The Edge of Reason trilogy and others under her belt. 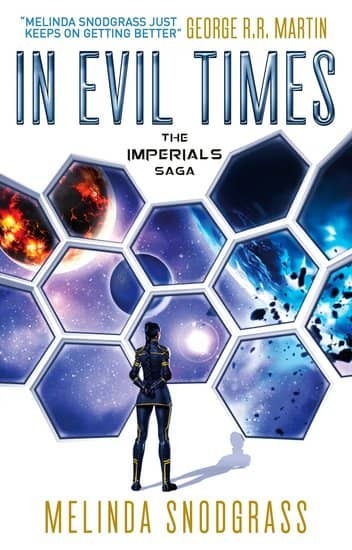 Her most recent series is one of the most original space operas on the market, a fascinating saga that mixes British period drama with science fiction, imagining a polite aristocratic society in outer space. Gamers Sphere says “Snodgrass has done a wonderful job of depicting how aristocrats and society would work in world where aliens and space travel is an every-day norm,” and Retrenders calls it “Downton Abbey/Sense & Sensibility drama with a mix of science-fiction action.” Admit it — that’s not something you see every day. 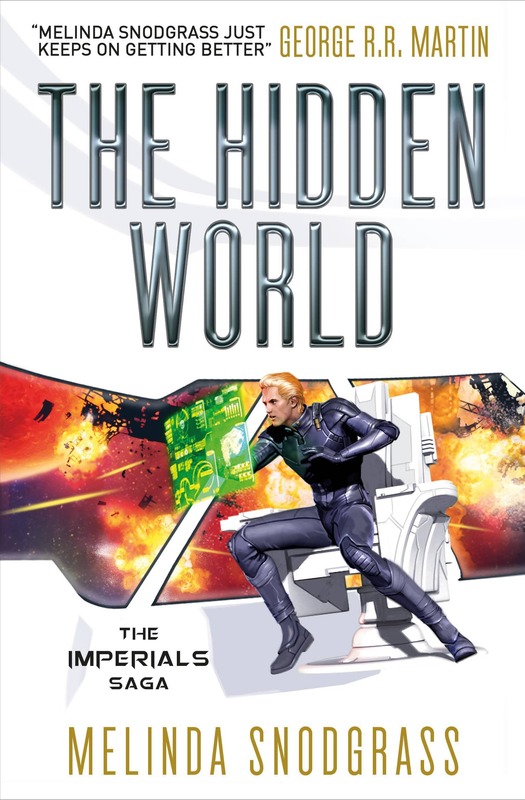 The third novel in the series, The Hidden World, was published by Titan last month. Here’s the description. Fourteen years have passed since he was framed for theft to cover up an imperial atrocity, and disgraced military officer Thracius “Tracy” Belmanor has built a new life for himself. Living under an assumed name as the captain of a small trading vessel crewed primarily by aliens, he and his crew engage in both legal and illegal deals just under the radar of the Solar League authorities. At the other end of the social hierarchy, Princess Mercedes de Arango has her own problems — the major one being the lack of an heir. Meanwhile her philandering husband Boho Cullen has ably proved the problem isn’t him. With rumors of a coup swirling around the throne, Mercedes makes the desperate decision to undertake a military campaign and gain her people’s allegiance through a victory. But when things go badly wrong and her future lies in the hands of the man she betrayed, Tracy has a choice to make — can he ever forgive her? The Hidden World was published by Titan Books on July 17, 2018. It is 356 pages, priced at $14.95 in trade paperback and $7.99 for the digital version.